Australia entered the last two editions of the World Cups as sole favourites. It’s not very often that a World Cup is so wide open that any of the top five teams can clinch it with equal probability. Pakistan stand tall, striking a perfect balance in their batting line-up and their bowling depth. With the tournament wide open, it provides a rare opportunity which should not be lost without a fight. But I want to emphasise on the need to improve their fielding. If Pakistan are to win the Cup, they must make rapid improvements in their fielding. Ground fielding is looking strong but straightforward catches and stumps are being missed. This will cost us the tournament. Fielders are not performing because of the mounting pressure. They should not fear the ball but every delivery must be followed like it’s meant for you. Going all out in the field without the fear of mistakes will take this team a long way. This team has not looked better for a long time. The batting line-up goes till number eight, a factor that works in our advantage as subcontinent pitches are mercilessly rewarding on the batsmen. 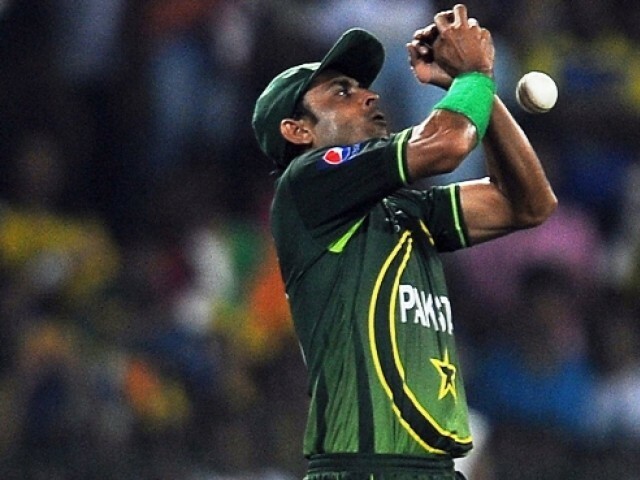 Our bowling consists of two fast-bowlers – with Shoaib Akhtar making a striking comeback – and three specialist spinners. Pakistan batsmen must also look out for the Powerplay. The mandatory Powerplay in the beginning of the innings must be utilised with care. The openers must have a pre-planned strategy: losing one or two wickets for 80 runs in the first 10 overs is a good bargain and they should aim for that. Our openers are either hitting hard or playing too many dot balls. I would emphasise the power of soft boundaries and singles during this time of the match. Coming to our bowling, I would think twice before resting Akhtar for today’s match. He has astonishingly stumbled across good form. There was a four-day break between Pakistan’s matches and that rest is enough for Akhtar. Resting him for eight days is calling for trouble. You want to hone his form, not rust it. It is also time for the captain to ask Saeed Ajmal to get off the bench. Ajmal has tremendous potential and he’ll cause a lot of trouble on these pitches. He must be given a chance given the variety his bowling offers. I’d suggest to Shahid Afridi to roll his dice and take it up a notch by acting boldly with the toss. Today’s match should be a training ground for the quarters. He should go in and test his team’s chasing capabilities by bowling first. Finally, the winning momentum should not be broken. Eight batsmen is not too many. I’d want to go in today and the rest of the tournament without making any major changes which could upset the winning streak. Grab the trophy, its wide open. For the latest World Cup updates and opinions visit The Express Tribune Cricket. U know tanzeel, cz u r stupid that’s why u did not write this blog; rather you are one of those loosers who just can’t hold their tounge. Inzi is one of the best players. Can u even compare urself to him… So it’s better to keep your mouth shut! Same applies to all other incompetent, big-mouth, and so called critics. Hello buddies, first of thanks to Allah and boyz that is I dont make fun of is boyz. if you think I make fun anybody i may rot in hell in when is I die. I tell you ball is not coming on bad but boyz is performed very well now what can is i can do, is it my mistake ?. Miss Amna and Mr. Wahab and Mr or Mrs UA please understand my point and is dont mind. 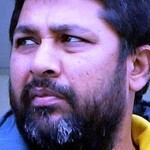 Awesome Tanzeel…your comments made me laugh..Inzi was a great cricketer but a dumb skipper. is play very good today. we is try very hard but is not win the game. is hit his shot very hard in our gaps. In start, we is protect our gaps very well. the grass is also thick.. but dhoni is split our gaps with his bat. bowler is went for many run. we is practice a lot sticking our bat in our hands..
but now we is more practice sticking balls in our hands. vinay…..this was hilarious………i sooo enjoyed it…. Boy! You stole the show. I thought Tanzeel’s comment obliterated the author’s blog post itself, but your “interview” with Inzi was just incredibly hilarious. Thank you buddy! To my Pakistani friends who are furious at Tanzeel, please take it easy. A hearty laugh is a precious and much needed commodity for all of us. very well explained, Inzamam ul Haq, i also think Pakistan is playing extra batsmen, would love to have your views and advice on Abdur Razzaq position, who did wonders with the bat in middle order when Pak toured India in 2005. Lol Vinay, that really was Hilarious.